Louisville is buzzing with the sounds of hustle, bustle and exciting new developments springing up on the original Whiskey Row and elsewhere with nearly a dozen bourbon-related ventures and $1 billion in investment. Jim Beam Urban Stillhouse – a unique visitor experience offering a 'Taste of History,’ a look inside a small working distillery, and a build-your-own-bottle experience at Fourth Street Live! 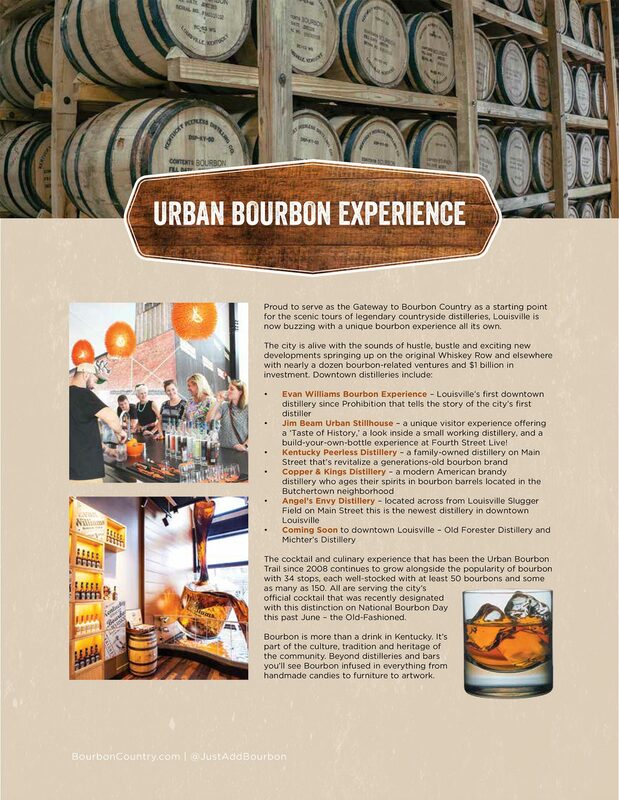 The cocktail and culinary experience that has been the Urban Bourbon Trail since 2008 continues to grow alongside the popularity of bourbon with 34 stops, each well-stocked with at least 50 bourbons and some as many as 150. All are serving the city’s official cocktail that was recently designated with this distinction on National Bourbon Day this past June – the Old-Fashioned. Bourbon is more than a drink in Kentucky. It’s part of the culture, tradition and heritage of the community. 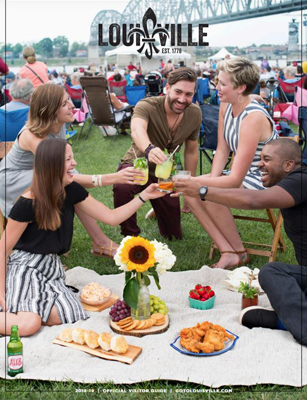 Beyond distilleries and bars you’ll see Bourbon infused in everything from handmade candies to furniture to artwork.